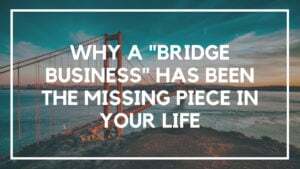 It’s no secret that my favorite bridge business to help people pursue is freelance writing. 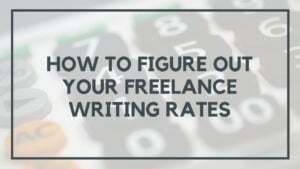 Because most of us already have a basic proficiency in writing, there’s a huge demand for writing services, and it’s a great way to build your online skills, your confidence, and some income in the process. And if you’re not a good writer? 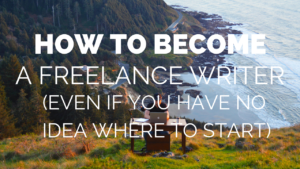 Then start with this post on How to Become a Writer. Most people make crucial mistakes that are keeping them from actually getting work. I’m always shocked by how often I see these things happen, considering how obvious they seem. The good news though, is that if you’re one of the very few people who don’t make these mistakes? You’ll be rolling in work before you know it. Watch this video to learn in detail, the 10 things you should be doing if you want to have more writing clients than you know what to do with. The video above covers these topics in much more detail, but if you’re just looking for the tl;dr version, then here you go! One of the biggest mistakes people make is that they think they need to be “professional”. So out of the gate, they’re very rigid, formal, and their freelance services site looks just like every other writer’s out there. People want to work with people they like and have rapport with – and the only way to build rapport? Is to have personality. #2) Don’t Use Mail Merge. Ever. I’m not sure why people still think it’s a good idea to write a template email, get a list of hundreds of people, mail merge the names, and then send it out. Do you really think that’s going to get a positive response or lead to work?! So what do you do instead of bulk emailing every potential client you’ve ever come across? Here’s a novel idea: you research the person you want to work with, and then send them a personal, thoughtful email. The chances of finding work from sending five thoughtful emails is better than sending 500 template emails. It takes time and effort to find qualified people, and do that research – but remember, this is what separates the people seeing success from those who aren’t. Email Hunter Chrome Extension – Find the email addresses for the specific content you’re looking for. For as long as you’re a freelance writer, you should always be seeking out work – because as every writer knows, there will be a time, where it will all dry up. So every single day, set a side a block of time to reach out, make connections, and look for work. Trust me, you’ll be glad you did. And best case scenario? You have too much, and you can hire it out to someone else and make a nice little cut. How to Pitch Influencers <–Everything you need to know to send pitches and emails that get a response. Upwork is the most popular site out there for freelancers. But did you know there are dozens of other great, lesser known places to find work? Make a habit of frequenting those and you’ll find a goldmine of opportunity that the casual freelance writer won’t know a thing about. How to Get Upwork Clients to Come to You <–Apply some of these strategies to sites other than Upwork for great results. 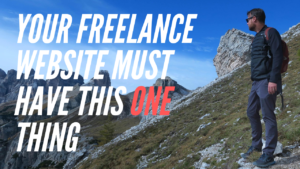 Let’s put it bluntly: would you want to hire someone who’s website looks like it was designed by an 8 year old? Technology has come a long way so creating a decent looking website these days isn’t very hard. Spend a bit of time to make sure yours looks good. The 60 Minute Blog Audit <–Once it’s setup, use this to make sure things are in tip top shape. Here’s another place where most freelance writers completely miss the boat (or any freelancer for that matter): they don’t follow up. Often times you won’t get a response on the first go. Or even the second or third. This is why following up is so important. And to do this properly, you need a system that makes it easy. Watch the video at the top of the page (Go to 9:10) for a more detailed explanation of why this works so well. But the bottom line is, if you only go to meetups for writers, you’ll find a bunch of people all looking for the same type of work as you. But if you’re a writer and you go to say a Search Engine Optimization meetup? There will often be people looking for writing services – making it more likely for you to find work. Not to mention the fact that building friendships and rapport, is much easier in person. It used to be that for people just starting out writing online, you would jump into “seo writing”. The problem is, that term has basically gone away and has some very negative connotations these days. 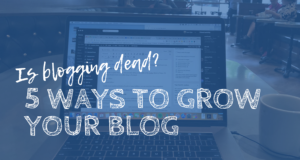 So instead of pigeonholing yourself into just one type of writer, we suggest using a broader title like “content writer” as that can span multiple spectrums and client needs. How to Make $3,000 in 2 Months SEO Writing <–This is an older post, but even though the term is out of fashion, the process basically still works for lower paid writing jobs. It’s not a book on finding clients, growing a business, or especially about becoming a better writer. But it’s one of the few books I know of that, if taken to heart, will help you do all of these things. And that’s it, if you do these 10 things, I guarantee you’ll give yourself a better chance of finding consistent, well-paying writing work that will allow you to work from anywhere and spend more time doing the things you love. Hi Sean! One of your recent posts linked back to this one and I’m glad it did! Great info. I did a lot of pausing and rewatching. I have a full page of hand-written note, too. Thanks! So resourceful. Thanks for putting this together, Sean.